The Eagleton Notes come with a wide range of topics and are compiled by a Hebridean turned Kiwi. He resides in the Summers – whenever they are happening in New Zealand or in Scotland. However, he claims all-year-round residency in Blogland. 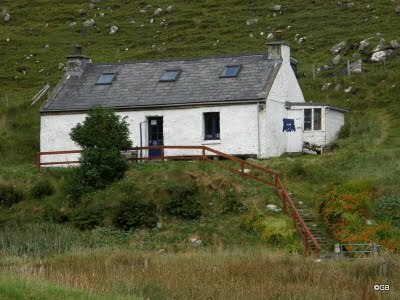 He and his wife visited Rhenigidale four years ago and their observations are worth reading and images revive fond memories as well as attract newcomers. Their photographs capture the journey there, the turns in the road, the vistas and various properties nestling in the settlement. There are also links to other Harris sights.